– Finish of the free to enter Marshfield New Year’s Day Marathon where the people’s champ, Yuki Kawauchi, set the world record for most career sub-2:20 marathons. Kawauchi got the record (76) despite the temps being 1-degree (-13 C). Uh oh: "Fitness trackers work best when they mess with your psychology the way social networks do"
Happy New Year. Make your 2018 Predictions Here. What will be the biggest stories in running be for 2018? Most memorable moment of 2017? Rojo's wife has given birth to a baby boy! How should I approach "the girl behind the desk?" How long could you live the Eliud Kipchoge lifestyle? Nick Symmonds weighs 180 lbs. Will he break 3 hours in April? Help! Hallway workout ideas for high school distance runners: what you got? It's cold over here! LRC No Excuses: 1-Degree Temps (-13 C) Don’t Prevent Japan’s Yuki Kawauchi From Breaking World Record For Most Sub-2:20 Marathons Kawauchi, who has 25 career sub-2:12s, now has 76 sub-2:20s one more than American legend Doug Kurtis. Jan. 2 Action: Toyo University Leads Defending Champ Aoyama Gakuin By 36 Seconds After Day One Of Hakone Ekiden Very impressive considering their entire senior class is out with injury. Italy: World 5,000m Champ Muktar Edris Wins Third Boclassic In 28:45 Agnes Tirop won the women’s race in a 15:30 to break the 27-year-old course record. France: Switzerland’s Julien Wanders (28:02) Ends 30 Years Of African Dominance By Winning Houilles 10k Kenya’s Stacey Ndiwa won the women’s race in 31:35. Japan: Asahi Kasei Defends Its New Year Ekiden Corporate National Title Bedan Karoki was sensational on the 2nd leg as he passed 18 people just four weeks after running Fukuoka. Ritsumeikan University Wins Fifth-Straight Women’s National University Ekiden At Mt. Fuji This race was held earlier in the week. Japan Overdoes It Again: Tokyo 2020 Olympic Torch Relay To Last 30 Days Longer Than IOC Target The relay will last around 130 days. Japanese Prime Minister Threatening To Boycott 2018 Winter Games Over Disagreement With South Korea Over “Comfort Women” Apparently South Korea has demanded that Japan apologize and pay reparations for mistreatment of women forced into sexual slavery during WWII. AP: NHL In No Rush To Discuss Future Winter Olympic Plans They aren’t letting their players compete in the 2018 Games, which is the first time since 1994. Vitaly Mutko Files CAS Appeal Against Lifetime Olympic Ban The case is expected to take place in early January. IAAF End-Of-Year Long Distance Review The highlight at Worlds for Team USA was Emma Coburn and Courtney Frerichs going 1-2 in the steeple. Four-Time World LJ Champ Dwight Phillips Reflects About His Early Career When He “Competed Off Talent Alone” And Wasn’t “Educated” About The Technical Aspects Of His Event Philips says he almost quit the sport in 2001 when he was offered $85,000 a year for a pharmaceutical sales job. LRC Women’s Steeple: Emma Coburn Is The World Champ, But Beatrice Chepkoech Is World #1 It was a crazy year in the women’s steeple, making the rankings super difficult but we think we got it right and the US women are #4 and #7. LRC Men’s Steeple Conseslus Kipruto Kicks His Way To World #1; USA’s Evan Jager Is #3 In World, Stanley Kebenei #4 Kipruto is king of the steeple, but 2 Americans in the top 5 is impressive. 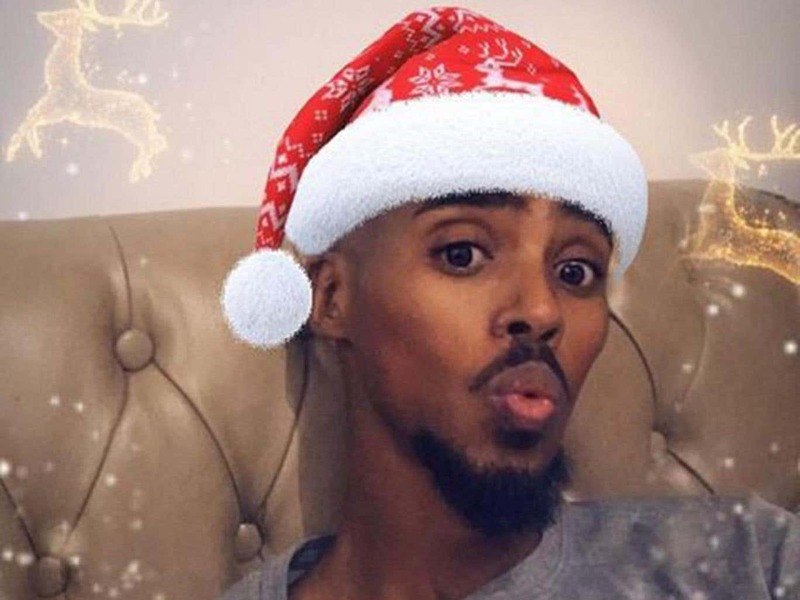 The Guardian‘s Best Sports Photos Of 2017 Mo Farah makes the list. Heavy Reading: Tianna Bartoletta Reveals That After A 2nd LJ Gold In 2012, She Thought About Killing Herself By Jumping Off A Train Platform Instead, she became homeless and left her 24-year-old elder husband, who allegedly at one point threatened to sue her parents. Catching Up With Retired 1:57 800 Runner Molly Ludlow, Who Recently Gave Birth to Her First Child Ludlow reflects on her career, missing the 2016 Olympic team due to a crazy fall and shares that she has begun nursing school. January 26: Defending Champions Tamirat Tola And Worknesh Degefa Lead Fields For The Dubai Marathon Tola set a CR last year with 2:04:11 while Degefa debuted to win in 2:22:36. 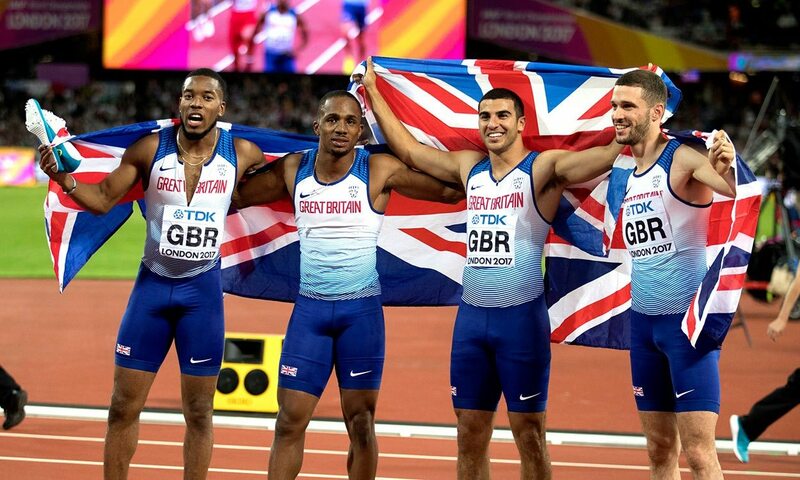 Recommended Read: Take A Behind The Scenes Look At GB’s World Gold 4 X 100 Squad Nethaneel Mitchell-Blake and Danny Talbot talk about the teamwork, practice and emotion that went into the upset win in front of the home crowd in London this summer. 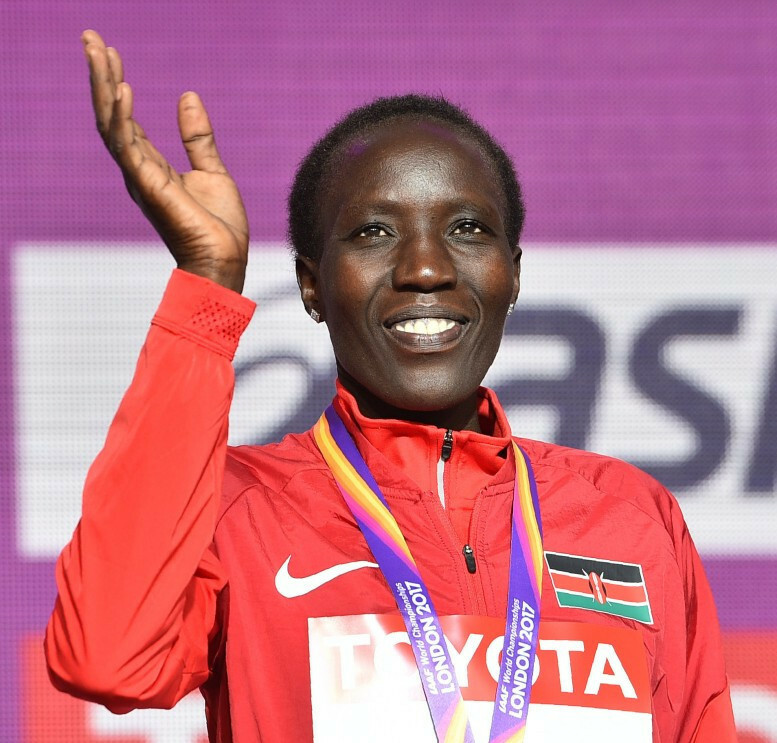 Edna Kiplagat Declared World Marathon Majors Winner After Jemima Sumgong’s Doping Ban This is the third time Kiplagat has won the $500,000 WMM title. Nick Willis Looking To Double Medal In The 1,500/5,000 At The 2018 Commonwealth Games Only twice in CWG history has someone medaled in both events at the same Games (the first time was Kip Keino in 1970). Willis won 1,500 bronze and was 10th in the 5,000 back in 2014. Podcast Q&A With Nick Symmonds Symmonds talks about his career, business and 3:00:35 marathon debut. Mutaz Barshim Is T&F News Male Athlete Of The Year 11 competitions and 11 victories for Barshim in 2017. IAAF End-Of-Year XC/Road Racing Review There were a lot of impressive road performances this year, highlighted by two WRs, one at the half marathon (Joyciline Jepkosgei‘s 64:52) and the other Mary Keitany‘s 2:17:01 “women’s only” record. 17 Brits Make Athletics Weekly’s Event-By-Event Top 10 World Merit Rankings Mo Farah is Britain’s sole top world-ranked athlete as he’s #1 in the 10,000 (but only #2 in the 5,000). IAAF End-Of-Year Hurdles Review Omar McLeod continued to dominate while WR holder Keni Harrison continued to falter on the biggest stage, finishing 4th at Worlds as Sally Pearson won. Recommended Read: Extensive Q&A With NCAA XC Champ Justyn Knight Knight talks about winning NCAAs, his favorite competitors, running heroes, how he started running, and future plans. Carrie Tollefson Does Podcast Q&A With Adam Goucher Goucher talks about the possibility of leading running retreats, stem cell treatment, and life at home with his wife Kara and Colt. Good Read: Lengthy Interview With Women’s Running Pioneer Joan Lamb Ullyot Ullyot was on the US team for the first International Women’s Marathon in Germany in 1976 where she finished 6th and wrote the first training book for women. IAAF 2017 End-Of-Year Sprints Review Usain Bolt bombed, Wayde Van Niekerk delivered while Tori Bowie and Dafne Schippers impressed for the women. 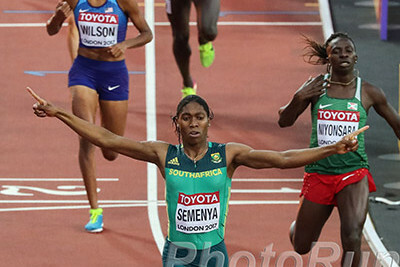 IAAF End-Of-Year Mid-Distance Reviews No one dominated their event like Caster Semenya did the women’s 800. T&F News Event-By-Event #1 Men’s Rankings Team USA took four #1 rankings from Justin Gatlin, Sam Kendricks, Christian Taylor and Ryan Crouser. T&F News Event-By-Event #1 Women’s Rankings Keni Harrison, Brittney Reese and Kori Carter were the three Americans to make the list. 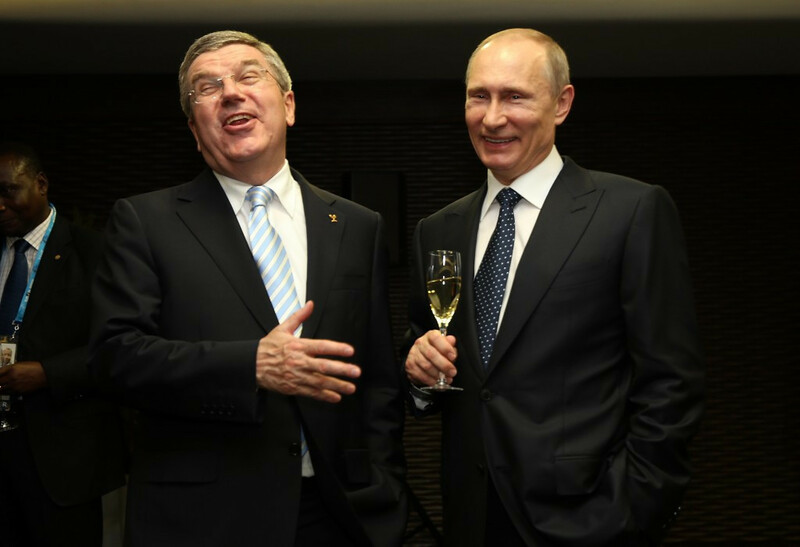 Top 10 Olympic Bid Stories Of 2017: Part 1 Because it’s the IOC, most of the stories are negative. Matt Hughes (51:18) Battles -22 Degree Conditions (With The Wind Chill) And Snow-Covered Roads To Win Boxing Day 10 Miler In Canada Two-time national XC champ Ross Proudfoot and Olympic marathoner Reid Coolsaet were 2-3. *MB: Canadian Steeple Olympian Matt Hughes wins 10-miler (51:18) in “feels like -22C” temps. Whoa. Sunday: Defending Champ And Three-Time Winner Cornelius Kangogo Going For A Fourth Title At The Corrida Pedestre Internationale de Houilles 10K One of the top contenders will be GB’s 60:00 half marathoner Callum Hawkins. Kenya’s Stacy Ndiwa (31:37) is the favorite in the women’s race. January 7: Former World Champs 5,000 Bronze Medalist Moses Kipsiro Headlines At The Safi Half Marathon In Morocco Kipsiro faces a slew of contenders, including Ethiopia’s Terefa Debela (60:22 half PR) and Getaneh Molla (60:34 PR). The women’s race is led by Zerfie Limeneh (71:02) and Zinash Debebe (71:04). 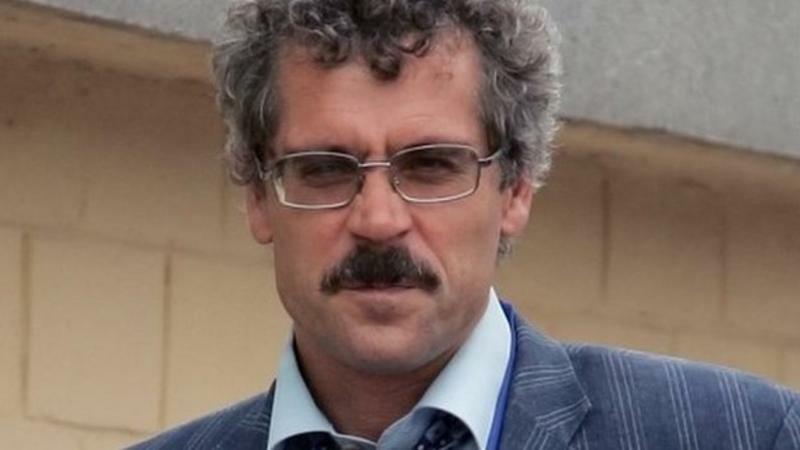 IOC Accused Of “Cowardice” For Failing To Help Protect Whistleblower Grigory Rodchenkov Russia has been pushing for Rodchenkov’s extradition and his lawyer thinks the IOC should step in and tell Russia they must stop. Vitaly Mutko Steps Down As Head Of Organizing Committee For The 2018 FIFA World Cup Mutko claims he’s taking time away to focus on fighting against his lifetime Olympic ban. Russia Paralympic Committee Holding A Qualifying Meet With 50 Athletes Despite The Fact That They’re Still Banned From Pyeongchang 2018 A final decision on Russian Paralympians hasn’t been made yet (the IPC is separate from the IOC).